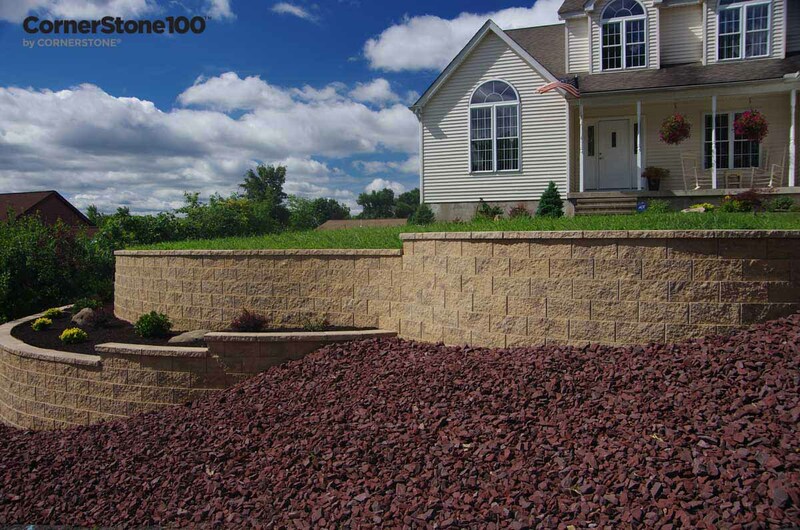 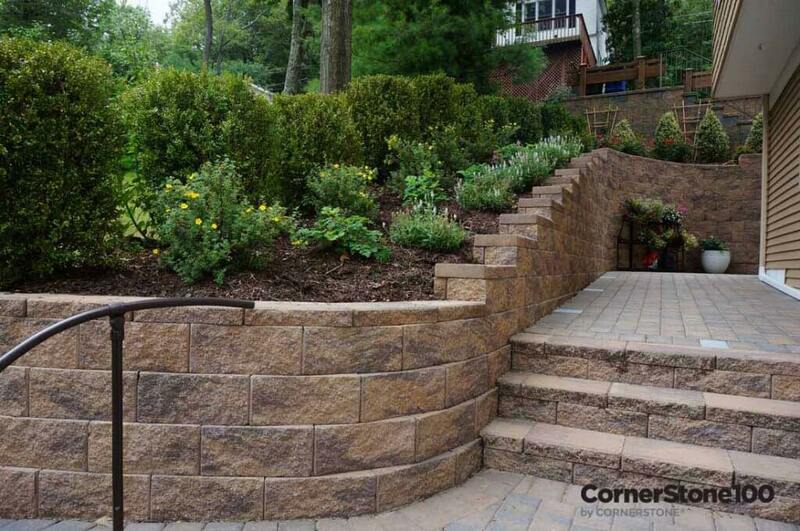 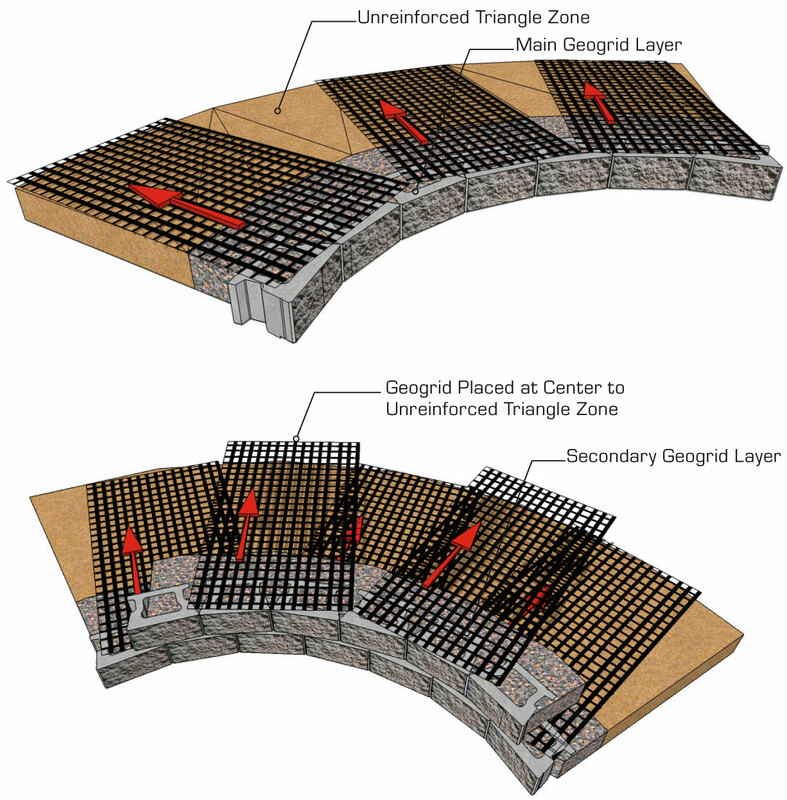 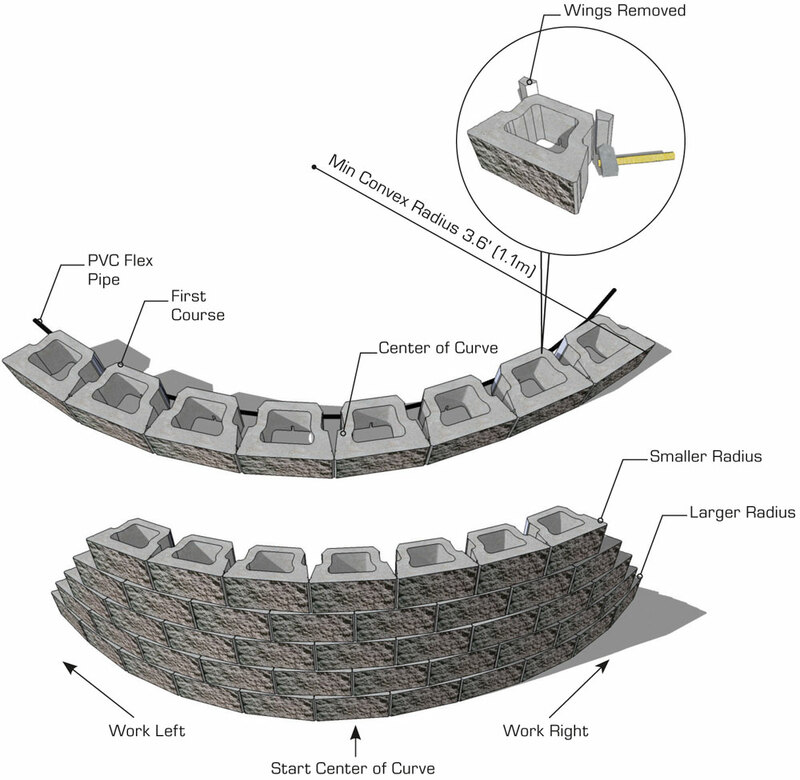 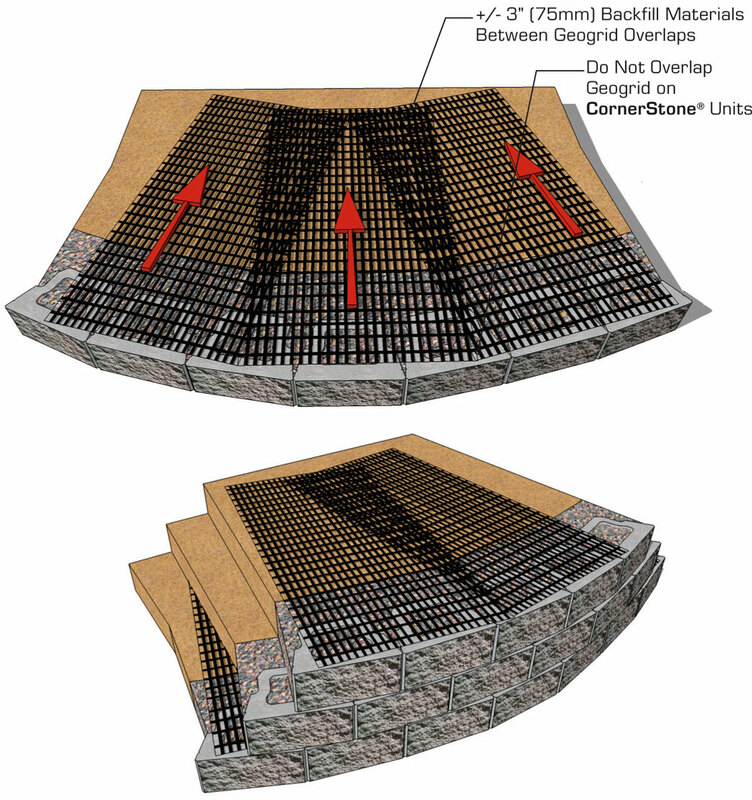 Retaining Wall Curve details are often required for specific sites and can be specified by designers and engineers. Correct construction and professional completion of these wall details greatly enhances the visual appeal of the finished project and avoids the time and costs associated with improper installation. 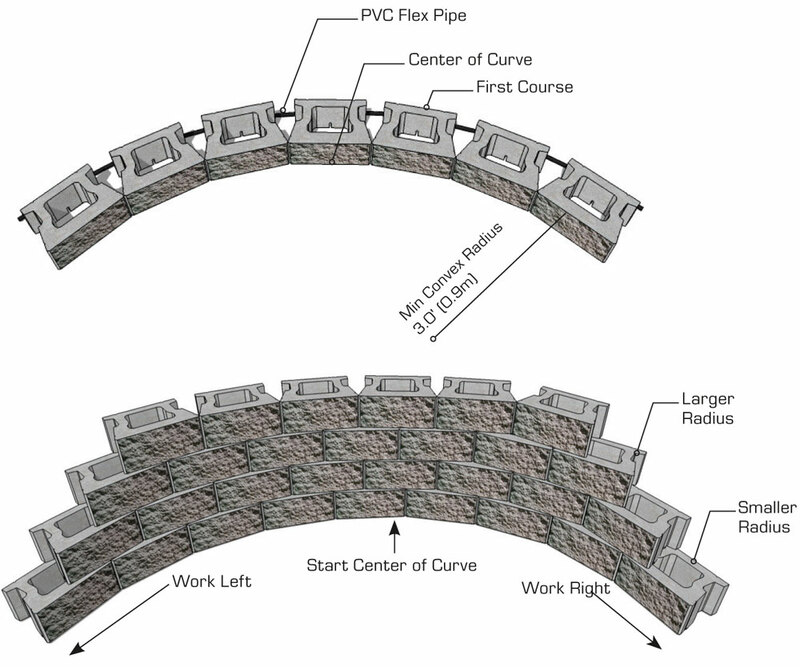 This document provides illustrated step-by-step instructions for building convex and concave curves.